My review of JadeScape. A new condo launch by Qingjian Realty. Since the introduction of the latest cooling measures, developers have started to be less aggressive with their pricing. The latest upcoming launch by Qingjian Realty to me is the litmus test of how damaging the latest round of cooling measures is. Jade Scape is a 99-year leasehold project located along Shunfu Road. It will be developed by Qingjian Realty and they acquired the site via an en bloc sale. Jade Scape is to be built on the site of the former 358-unit Shunfu Ville, a privatised HUDC development. Back in mid-2016, Qingjian Realty acquired the Shunfu Ville en bloc site for $638 million which was slightly below the reserve price of $688 million. It was then the third largest en bloc deal to date and the first en bloc in nearly a year. At that point, the deal made many property analysts sit up and take notice. 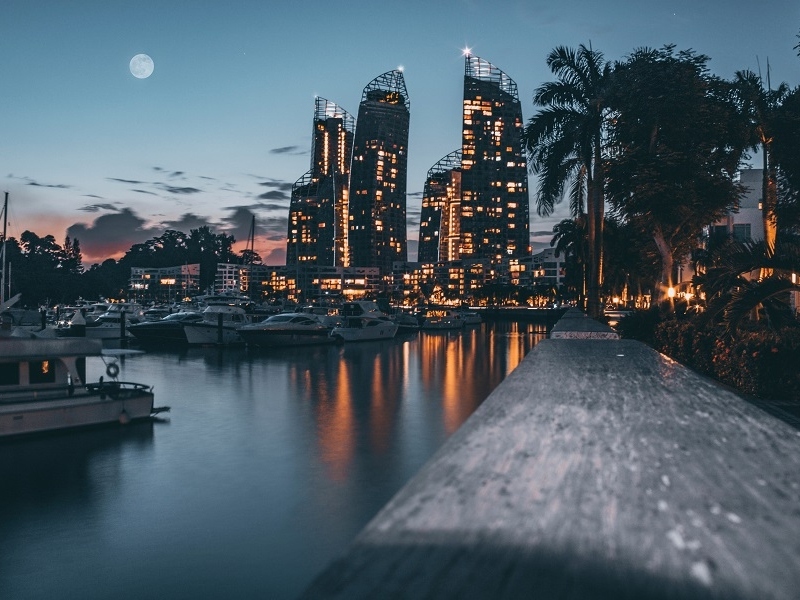 This deal placed a spotlight on foreign players’ growing presence in the Singapore real estate market. In my opinion, Qingjian Realty kicked off the latest en bloc fever and on hindsight, entered the market at a very opportune moment. Jadescape will comprise of 1,206 units and will be launched in two phases. The development site is 36,985.70 square metres or 398,114.07 square feet and will feature seven towers and will house 236 one-bedders, 403 two-bedders, 265 three-bedders, 261 four-bedders, 39 five-bedders and 2 penthouses. 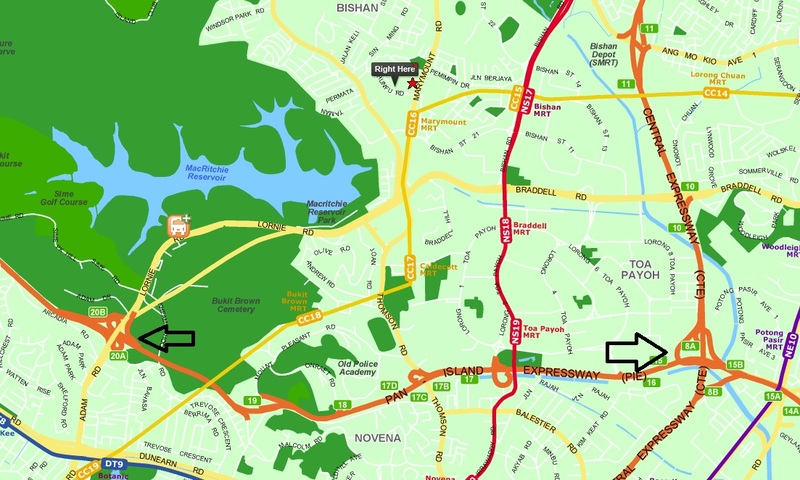 JadeScape is located about 5 minutes away from Marymount MRT Station. According to Google Maps, it takes about 450 metres to walk to the exit A of Marymount MRT Station. 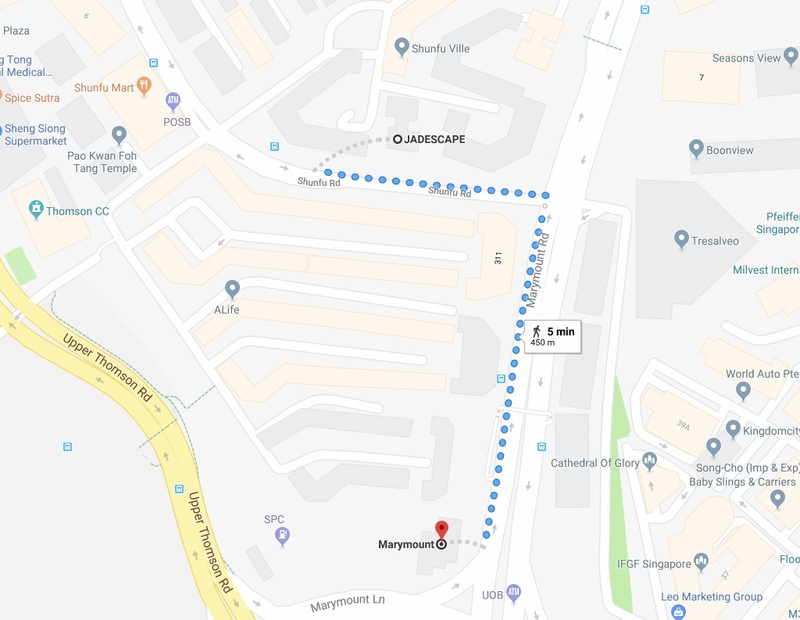 You could actually cut across the HDB flats to get to the MRT Station so the distance from the main gate of JadeScape should be slightly shorter. The walk is generally sheltered as you can walk under the HDB flats but the flats are not connected and thus there will still be a risk of getting caught in the rain. Marymount MRT Station is rather centrally located. 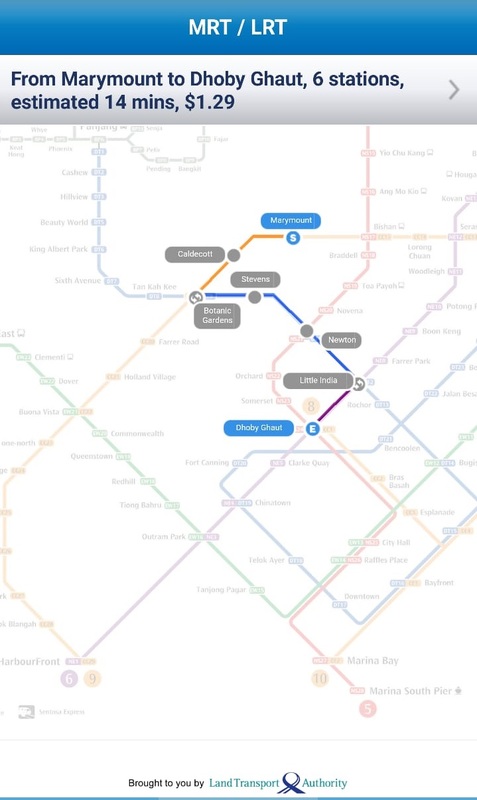 It is located along the Circle Line and is one station away from Bishan MRT Station and from there you can change over to the North-South Line. The North-South Line is often heavily congested during peak hours especially if you are travelling towards town. 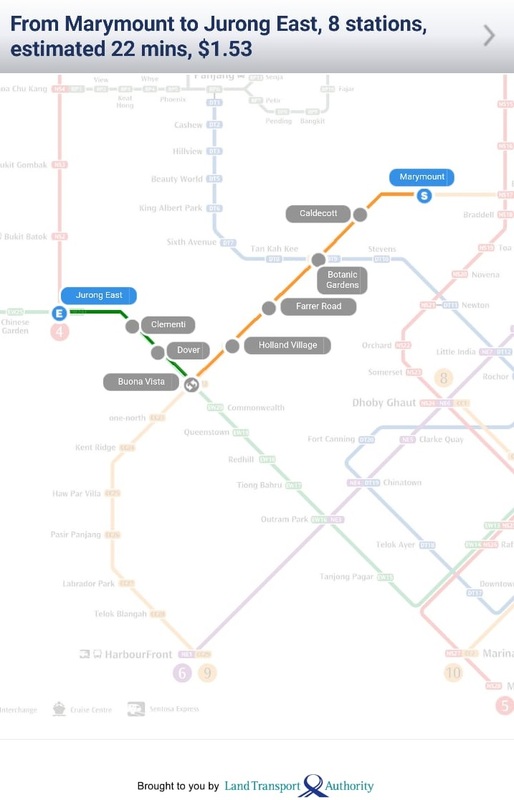 This is perhaps why when I made an enquiry on the LTA mobile app, the app seemed to be constantly directing me away from Bishan and instead advised me to make a transfer onto the Downtown Line at Botanic Gardens MRT Station instead. It takes approximately 14 minutes and it will cost $1.29 per trip to get to Dhoby Ghaut MRT Station. 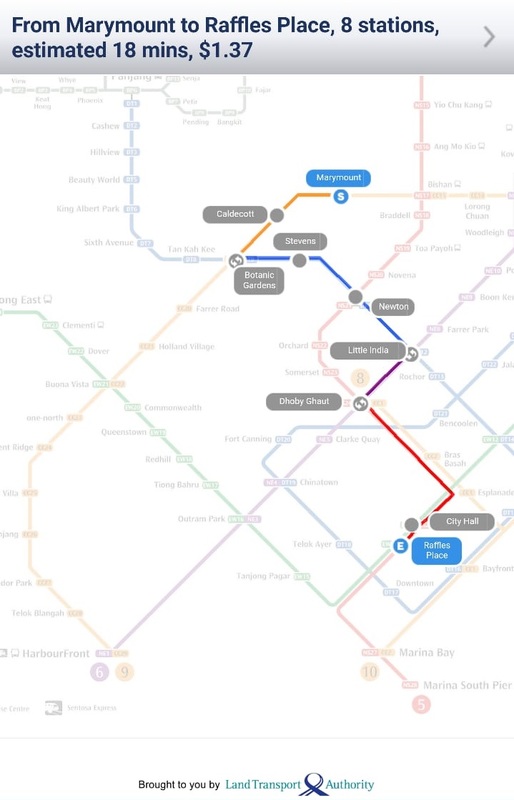 Marymount MRT Station is also well connected to the western parts of Singapore. It will take approximately 22 minutes and cost $1.53 to get to Jurong East MRT Station from Marymount MRT Station. If you are working in the Central Business District (CBD), it will take you approximately 18 minutes and cost you $1.37 to get to Raffles Place MRT Station. The Circle Line makes it very quick to get to various parts of Singapore as it intersects with all other train lines. My only gripe about the Circle Line is that you will always need to make a switch to another train line if you are travelling to the CBD. If you are driving and would like to get to nearby expressways, you may enter the PIE via Lornie Road or the CTE via Braddell Road. Both are about a 10-minute drive away. This time can increase during peak hours as both Lornie Road and Braddel Road are known to get congested during peak hours. The main selling point would be the location. 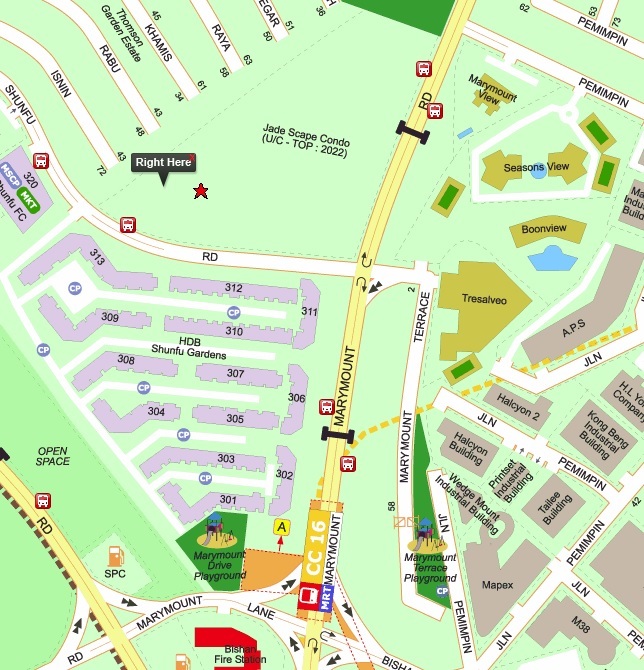 JadeScape is located along Shunfu Road which is close to popular matured areas like Ang Mo Kio and Bishan. This area is a very tranquil area to live in and certain units would overlook the landed properties at Thomson Garden Estate. Amenities wise there is a market just opposite this development at Blk 320 and there is also a Sheng Siong supermarket nearby. JadeScape is also close to popular food haunts along Upper Thomson Road. Redeveloped developments, those that underwent en bloc sales, have the benefit of already having amenities located around the vicinity. The quality of this development should be good. Qingjian has been recognised for their good quality developments in recent times. Some may shun Chinese developers but Qingjian is doing their part to change this mindset. 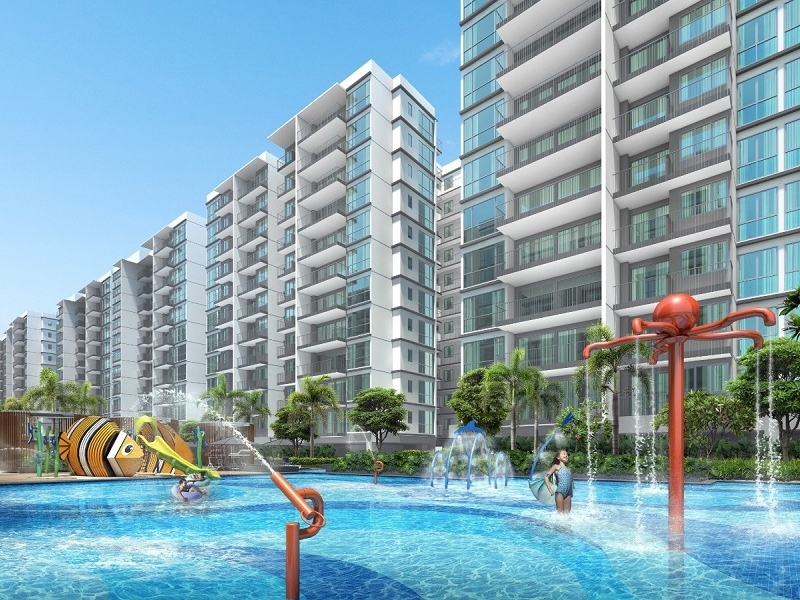 Bellewoods by Qingjian was recognised as the top quality executive condominium in Singapore earlier this year. Bellewoods and Bellewaters received the Construction Quality Assesment System Star by the Building and Construction Authority (BCA). This award is the highest accolade for construction quality and is given only if a certain development meets or surpasses 95% of the BCA’s workmanship quality standards. I find the location very prime. The main draw would be the proximity to Marymount MRT Station. 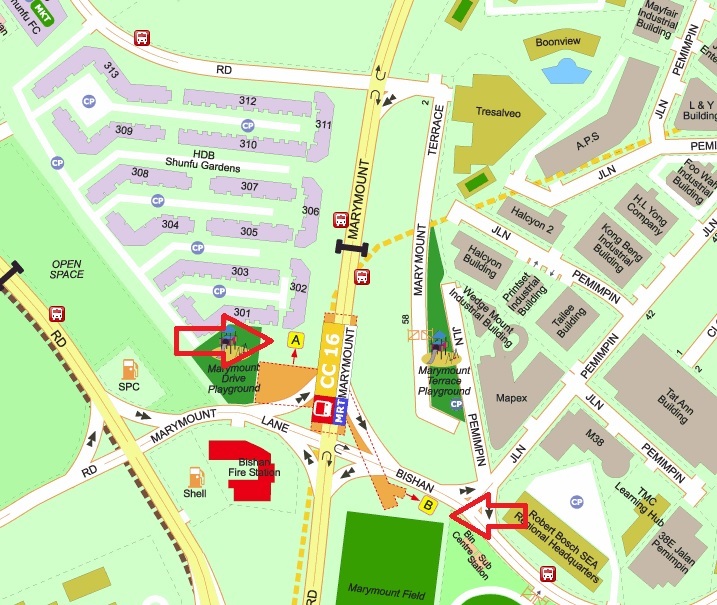 The HDB flats in front of JadeScape are the only residential properties that are closer to the MRT Station. There are other condominiums in the vicinity like Trasalveo, Boon View, Seasons View and Marymount View. These condominiums are across the road from JadeScape and the MRT exit on that side of the road stretches to the intersection of Bishan Street 21 and Jalan Permimpin. Therefore JadeScape should be the nearest condominium development to Marymount MRT station. Considering that Shunfu Ville consisted of 358-units, there were a total of 910 condominium units in the vicinity before Shunfu Ville was sold en bloc to Qingjian. Jadescape will consist of 1,206 units and this will bring the total number of condominium units in the vicinity to 1,758. This is a 93% increase in the number of condominium units in the area. Buyers should be wary of any oversupply in the area, especially when there is no shopping mall around the area. Tenants may find condominiums around Ang Mo Kio MRT or Bishan MRT more attractive as there are AMK Hub and Junction 8 shopping malls for them to patronise. Taking a look at the rental transactions of the four existing condominiums, we can see that the rental rate for a 1-bedder is from $2,100 to $2,200, a 2-bedder range from $2,100 to $33,250 and a 3 bedroom ranges from $2,600 to $4,350. 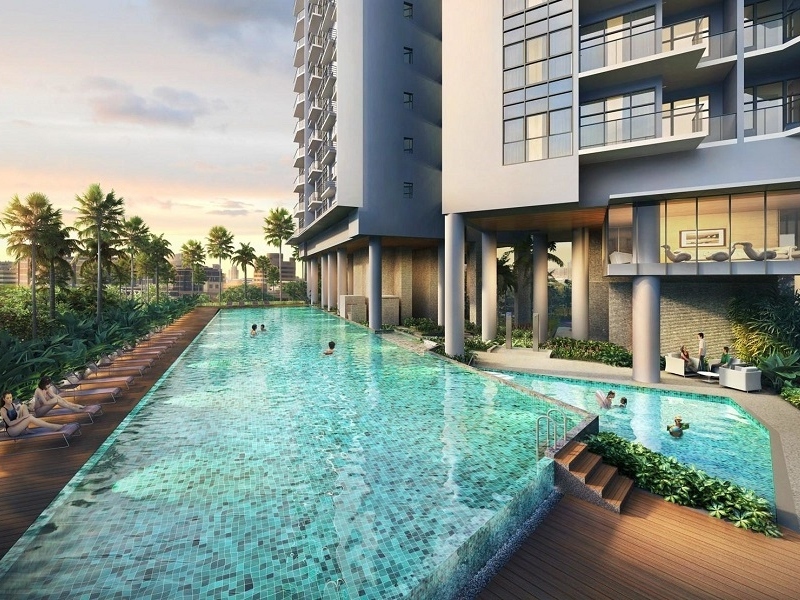 Based on early indicative pricing, a 1-bedroom unit at Jadescape starts from $838,000. If we were to estimate the rental income to be $2,100 and the purchase price to be $860,000, then the gross rental yield works out to be 3%. This yield is assuming that rents stay at this rate as the increase in the supply of the number of units is negated by the fact that JadeScape is a newer development and rents tend to be higher. A point to note would be that even though there is a 93 per cent jump in the number of units in this area, there is no other plot of land in the area that can add a significant number of units to this area. There are no new HDB flats or plots of land available. 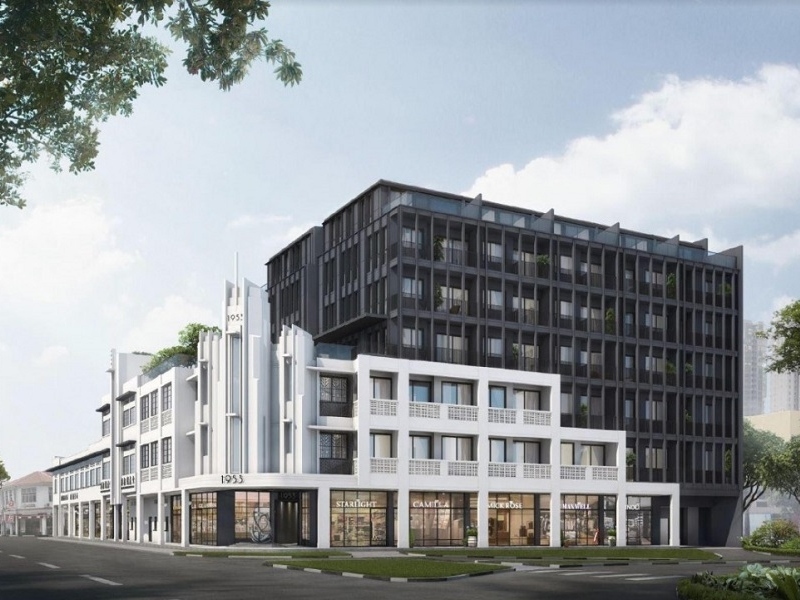 The only other way there could be an increase in the number of units in this area is if certain developments were to undergo an en bloc sale and subsequent redevelopment. If we were to take a look at the transacted prices in the last 6-months of condominiums in the area, the per square foot prices range from 1,028 per square foot to 1,343 per square foot. JadeScape’s indicative prices start at $1,500 per square foot. I am guessing that the average per square foot prices should range from $1,600 to $1,700. Yet the absolute quantum is comparable as the unit sizes have become smaller. Thus a 1-bedroom starts from $838,000 and the starting price of a 3-bedroom is hovering around $1.38 million. 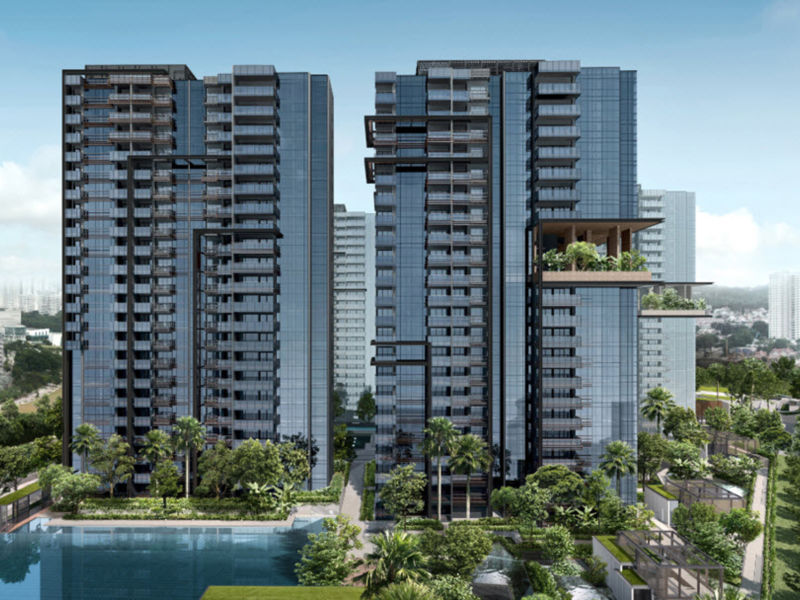 Buyers must remember that with the exception of Seasons View, the rest of the neighbouring condominiums are freehold whereas JadeScape is a 99-year leasehold project. Another concern would also be the narrow road which leads to the entrance of the condominium. Shunfu Ville used to have 356 units. The single-lane road outside the development could cope with this number. JadeScape has 1206 units. There may be some cause for concern that there may be some congestion in the roads leading to the development during peak hours. The good thing is that other than JadeScape, there are no other new developments in the area. I had expected that prices would hover around $1,800 per square foot. If prices do start at just under $1,600 per square foot then that will be rather competitive when comparing JadeScape’s pricing to the recent new launches. 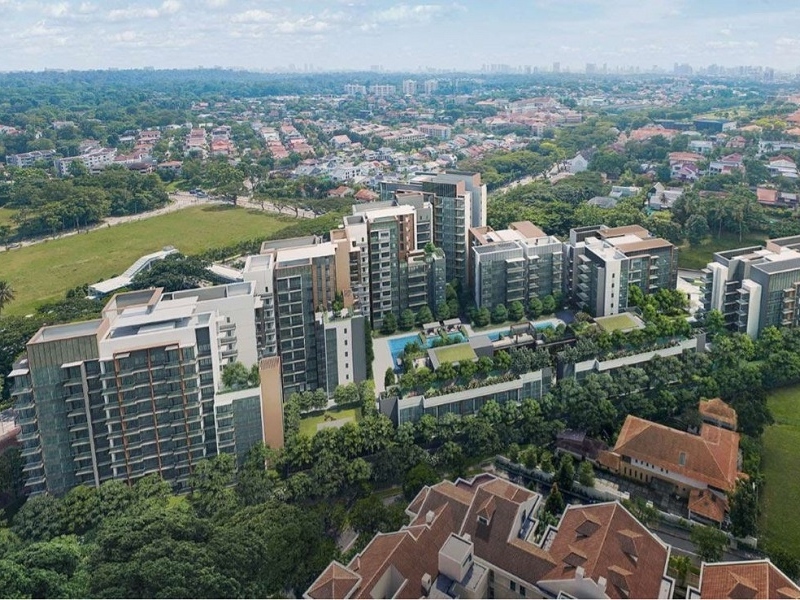 Affinity at Serangoon and The Garden Residences are hovering close to JadeScape prices and yet they are located in Serangoon North which is nowhere near an MRT Station or many amenities. I cannot give the recent new launches anything more than a 3.5/5 because when I take a look at the secondary market, I see per square foot prices that are much lower than what the new launches are going for. For this particular reason, if I were considering JadeScape, I would also consider purchasing one of the neighbouring developments, especially the freehold ones. Let me say that development is very well located. The only thing holding me back from giving JadeScape a higher score in this category would be that there is a lack of a large shopping mall in the area. Also, there are no other new developments in the area. Unlike places like Hougang, Woodleigh and Potong Pasir, JadeScape is the only condominium that is being built in this area. There are also no more new HDB developments in the area. I know many will find it strange that I would accord such a high score to a condominium developed by Qingjian, a Chinese developer. However, if you were to take a look at their track record in terms of construction quality, they had developments which were awarded the CONQUAS Star award by BCA. 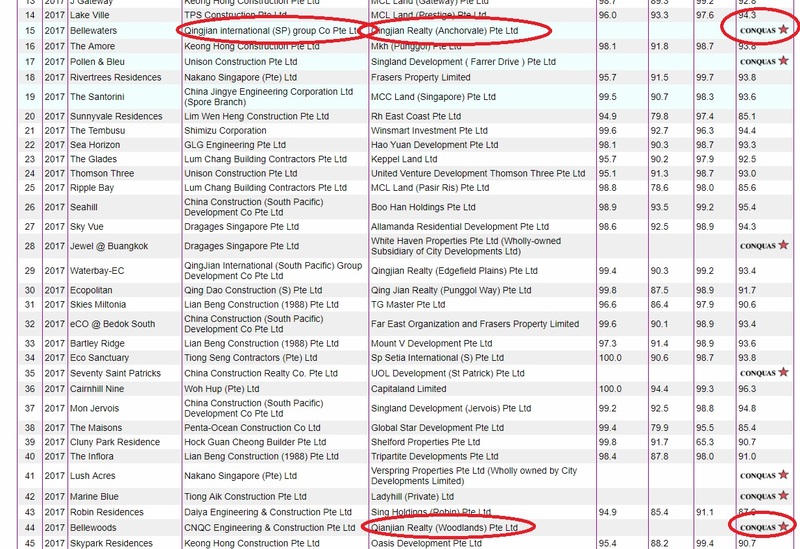 BCA uses the same metrics to rate developers and if we were to put aside our bias against Chinese developers then we will see a developer who has built quite a number of good quality condominiums in Singapore. For JadeScape, Qingjian has engaged award-winning Paul Noritaka Tange from Tange Associates as the architect for the project. This project will also integrate smart living solutions to residents. I also personally find the design of the development rather contemporary and the clean lines of the building are modern and unique. If you were to compare the design of JadeScape to the rest of the developments in the area, the older ones will eventually look very dated compared to JadeScape. 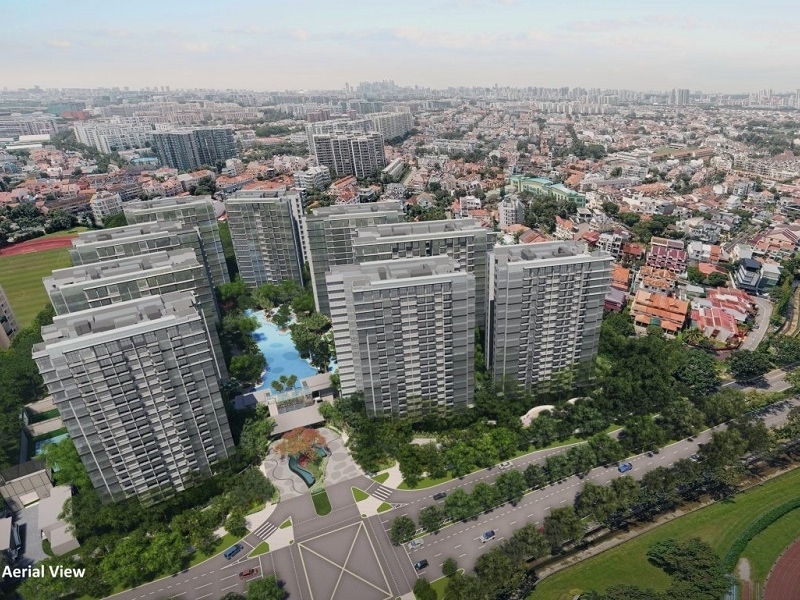 I personally think that if you are someone who really wants to buy only new project launches, then JadeScape, like Park Colonial, should be one of the projects within your consideration list. P.S. You can reference the Jadescape floor plans here.